So, you’ve been told there’s no such thing as a free lunch, eh? I’m here to tell you that every once in a while, there IS such a thing as a free lunch. You see, I’ve started this tradition where, about once a month or so, I post this web page out to a few social networks to see if anyone is paying attention and to see if anyone near my office is hungry. The first person to reply to the tweet, check-in, Facebook post, etc. will be invited to join me for lunch, my treat. And, you must be available to go that day. This offer is not just for clients, business associates or colleagues. You are not required to be a current buyer or seller of real estate, and I promise not to even talk “shop” or try to sell you anything. Normally, we’ll stay pretty close to my office, as there happen to be quite a few good lunch choices nearby. 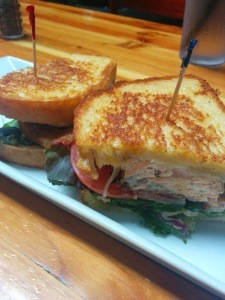 Occasionally, we’ll head down to Mill Avenue or to my favorite new restaurant in south Tempe. The disclosure police in me says I should probably say that the free lunch is at my discretion, and that you must be accompanied by yours truly. Please don’t be a clown and expect anything more than just hanging out and having some lunchtime fun.